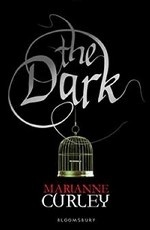 Аннотация к книге "The Dark"
A dark and compelling sequel to The Named, The Dark crackles with suspense and intrigue. Hell-bent on avenging the death of one of their best, the Order of Chaos gain the upper hand in their battle against the Guardians. As the Order`s attempts to change history bear fruit, Ethan and Isabel notice subtle changes in their daily lives as an altered past impacts on the future. Before they can confront the Order, Ethan and Isabel, joined by Isabel`s brother Matt, must risk everything to travel through a dark world and save Arkarian, without whom the future looks bleak. Told from the perspectives of Isabel and Arkarian, the edgy relationships and pacy narrative make for an unputdownable read.